An estimated 20 million Americans avoid going to the dentist each year because it makes them feel nervous, anxious, or afraid. Given those statistics, it’s certainly understandable that some toddlers, children, and adolescents may also experience strong apprehensions when it’s time to go to the dentist. 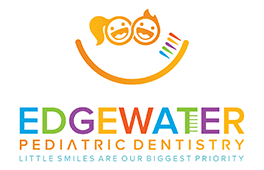 At Edgewater Pediatric Dentistry in Edgewater, New Jersey, board-certified pediatric dentist, Rosalie Nguyen, DMD, and her team offer oral sedation dentistry for children with high levels of dental anxiety. Call the office or schedule an appointment online today to learn more about the available sedation dentistry options. Oral sedation dentistry uses calming medicines to help children who experience nervousness, anxiety, or fear at the thought of visiting the dentist. These medicines, which are given by mouth, can help reduce your child’s anxiety, increase their desire to cooperate, and leave them feeling more relaxed and comfortable throughout their visit. Besides increasing your child’s comfort level and attention span during treatment, oral sedation also helps prevent them from making the kind of uncontrolled movements that can compromise their safety or lead to injury. How might oral sedation affect my child? For the average pediatric patient, oral sedation produces a deeply calming effect in about 20 minutes, often accompanied by some degree of drowsiness. But that doesn’t mean it has the same effect on all children. It takes longer to work for some pediatric patients, makes some fall asleep completely, and has no effect at all for others. Because there’s no way of knowing in advance exactly how oral sedation will affect your child, it’s important to note that should it be ineffective, the treatment fee is nonrefundable. Is oral sedation safe for children? Dr. Nguyen and her team are fully licensed and highly experienced in oral sedation dentistry. To ensure optimal safety and effectiveness, they always follow the sedation guidelines of the American Academy of Pediatric Dentistry. During oral sedation, you can expect your child to be relaxed and drowsy, but still conscious enough to answer basic questions and respond to simple instructions. To reduce the risk of respiratory depression, Dr. Nguyen and her team use a pulse oximeter and precordial stethoscope to carefully monitor your child’s oxygen intake throughout the procedure. Standard oral sedation protocols also require the presence of two dental assistants from start to finish. To select the oral sedation medication, Dr. Nguyen and her team consider your child’s overall health, age, level of anxiety, and dental treatment recommendations. To find out if oral sedation is right for your child, call Edgewater Pediatric Dentistry or schedule an appointment online today.